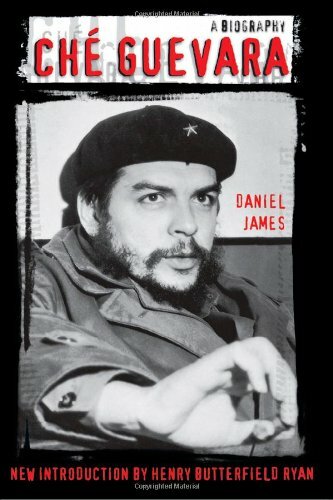 his critical biography, Daniel James penetrates the myths that have grown up around Guevara since his death. The biography carefully analyzes the Cold War situations in which Guevara lived and fought, and which turned the young medical student into a guerilla and political theoretician. Ché Guevara: A Biography includes interviews with Guevara's first wife, and extensive information on the revolutionary's early years and family life lacking in other biographies. James also discusses Guevara's actions in Cuba as a leader in the rebel army of Fidel Castro, covering in detail Guevara's military victories, his post-war executions of anti-Castro prisoners, and his criticism of Soviet Communism. This unique and unsparing portrait of Guevara includes and an in-depth examination of his last guerilla campaign in Bolivia.